This is a picture taken from the Virginian Review several years ago. Excuse the graininess, I tried to get original but couldn't. This is a house in Iron Gate, VA about 20 or so miles from Covington. 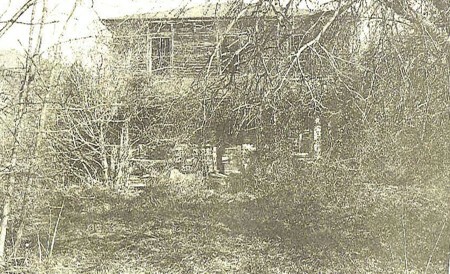 See if you can detect any images for I can see an old woman holding a baby, a ''dark'' boy in the yard, part of a man's suit, a dog laying on porch and something looking out the window. Where is the old house in Iron Gate, VA.